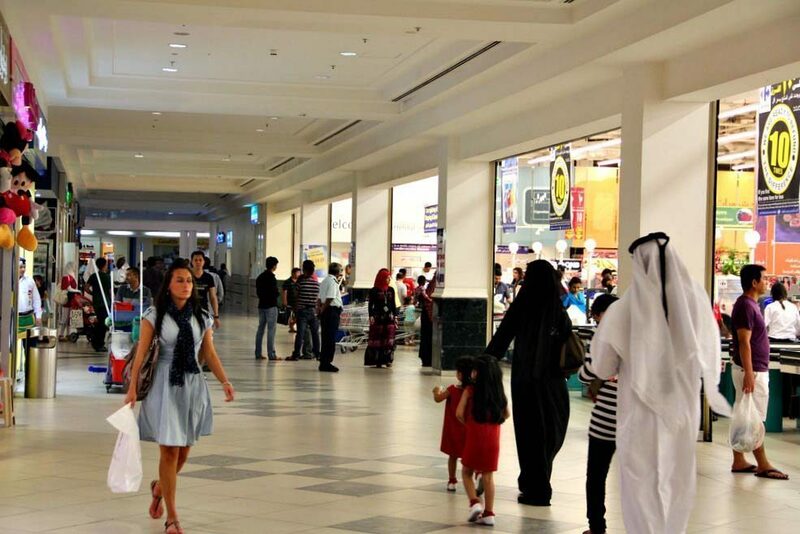 A grassroots campaign to encourage men and women to dress more modestly in public places in Qatar will be relaunched next month under a new name, the campaign’s organizers have told Doha News. Previously called “One of Us” when it began in 2012, the campaign has now been renamed “Reflect your Respect,” and will restart in June, with a weekend of leafleting in public parks and malls. Speaking to Doha News, spokeswoman Umm Abdullah explained that the name had been changed because many expats had responded to the previous slogan by arguing that they did not feel like they are part of Qatari society. She explained that the new slogan was simply calling for expats to “respect” local cultural values by covering their shoulders, midriffs and knees, adding that she believed many Qataris now avoided public places because they were offended by the clothes many expats were wearing. “People say they don’t meet enough Qatari people, but this is because we don’t want go to these places and see these things,” she said. Umm Abdullah explained that on June 20, groups of Qatari women and children will begin visiting public places – venues will be announced a week in advance – to hand out leaflets explaining the campaign to expats. She said many simply aren’t aware that they are causing offense. Abdullah is also aware that some would argue that Qataris have no right to demand that foreigners adhere to their cultural norms. In response, she said that when she travels, she makes an effort to fit in by not wearing a niqab in France for example, and expects expats in Qatar to do the same. She explained that June 20 had been chosen due to the approach of Ramadan at the end of next month, and because it signaled the end of national exams, giving Qatari families more time to devote to the campaign. Leafleting campaigns would however continue throughout the year, she added. In November 2012, the “One of Us” campaign organizers announced that they had received backing from the Qatar Tourism Authority, which they said had promised to display the posters in public spaces, and on their literature. Umm Abdullah said that these promised actions however have not materialized, so the group had decided to continue without support from the QTA. The QTA did not respond to a request for comment. However, there appears to be no specific element of the penal code that targets dress code, although many malls and parks have their own clothing rules, which are enforced by private security guards. For a brief period in October 2012, for example, Aspire Park introduced unofficial dress code rules that mandated sports clothing or Qatari national dress only, effectively banning most expat families from the park. However, these regulations were dropped just weeks later, and Aspire Park authorities denied they had ever existed. Additionally, men have also reported being turned away from Traffic Police buildings for wearing shorts instead of trousers, and there’s anecdotal evidence that similar dress codes for both men and women exist in other government buildings in Qatar, although these are patchily enforced.